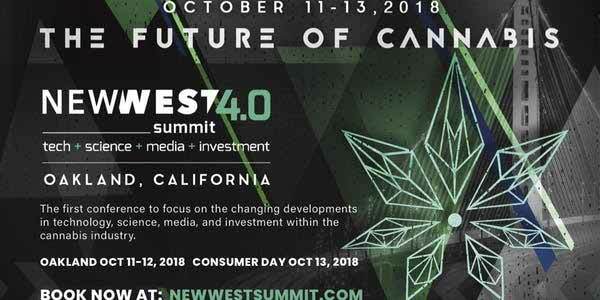 TECH + SCIENCE + MEDIA I+ NVESTMENT.... New West Summit 4.0 is focused exclusively on game-changing, disruptive developments in technology, science, investment and media in the cannabis industry. WE ALSO ADDED A CANNABIS CONSUMER EXPO ON SATURDAY OCT 13 FOR COMSUMERS TO CHECK OUT ALL THE GREAT NEW COMPANIES AND DISPENSARIES OF CALIFORNIA & BEYOND! On Thu Oct 11 (9:30a-6p), Fri Oct 12 (9:30a-6p) and Sat Oct 13 (10a-4p) ~ New West Summit will take place once again at The Oakland Marriott City Center - Convention Center. This year's event promises graduate level content like no other show or conference in the industry!